It is important to understand the facts related to infant vaccinations during National Infant Immunization Week (NIIW)—and every week. You can help protect your children from 14 diseases before the age of two by ensuring their vaccines are up to date. 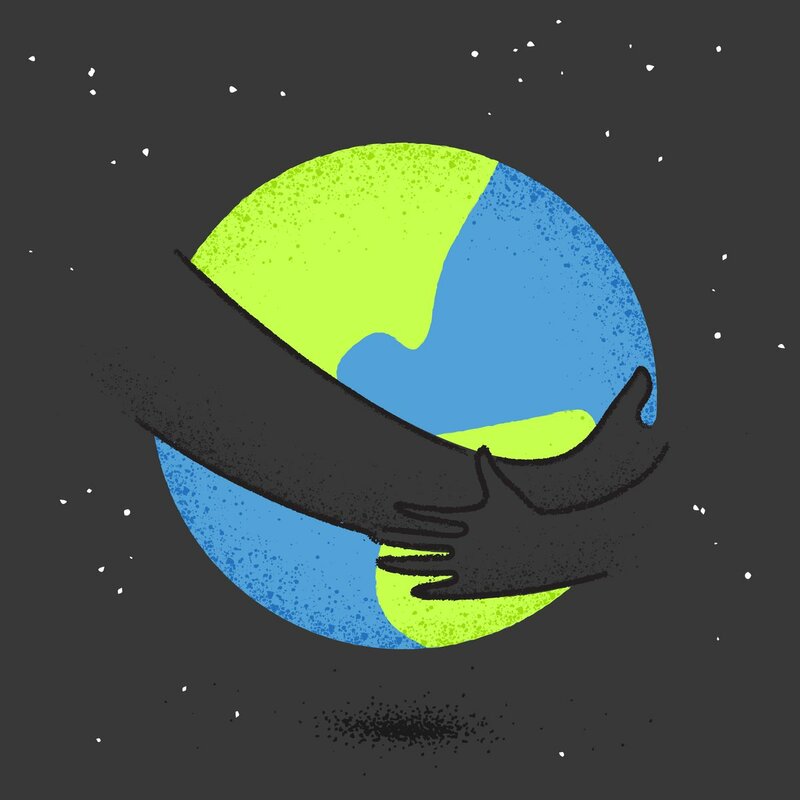 According to the American Academy of Pediatrics, “herd immunity” (high immunization rates in each community) protects vulnerable children who are too young to be vaccinated as well as anyone who cannot be vaccinated for medical reasons. During Brunet-García’s 13 years of work with the Florida Department of Health and the Florida SHOTS (State Health Online Tracking System) program, it has become clear that even in our home state, immunization coverage needs improvement. 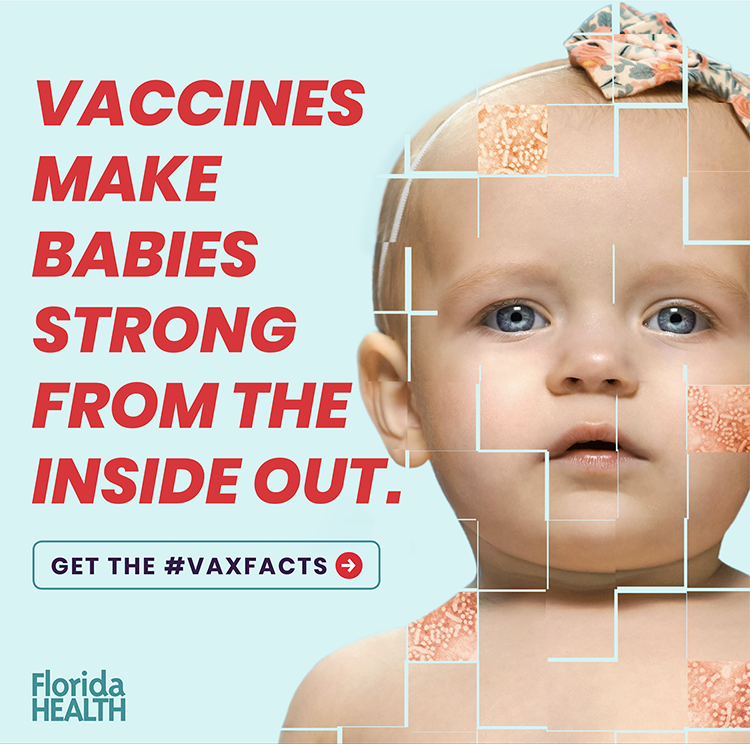 Florida SHOTS is a free, statewide, centralized online immunization registry that helps healthcare providers and schools keep track of immunization records to ensure that patients of all ages receive the vaccinations needed to protect them from dangerous vaccine-preventable diseases. 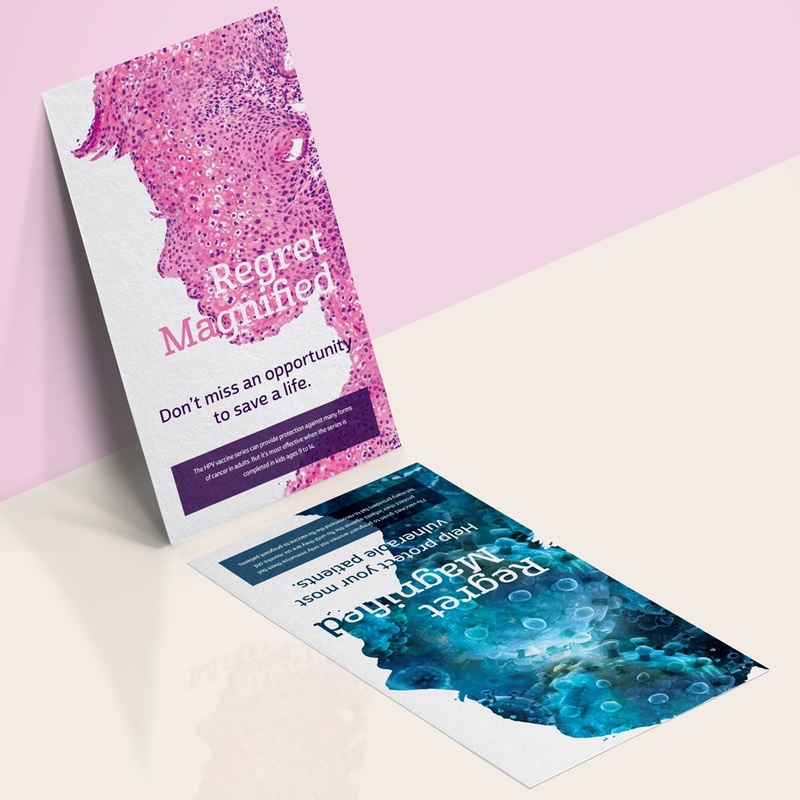 In the past year, the agency worked with Florida SHOTS to develop a health care provider postcard campaign called Regret Magnified to specifically highlight the need for higher coverage rates for adult flu, infant DTaP, and teen HPV vaccinations. Direct mail is tough; you only have a second to make an impact before it hits the garbage can. 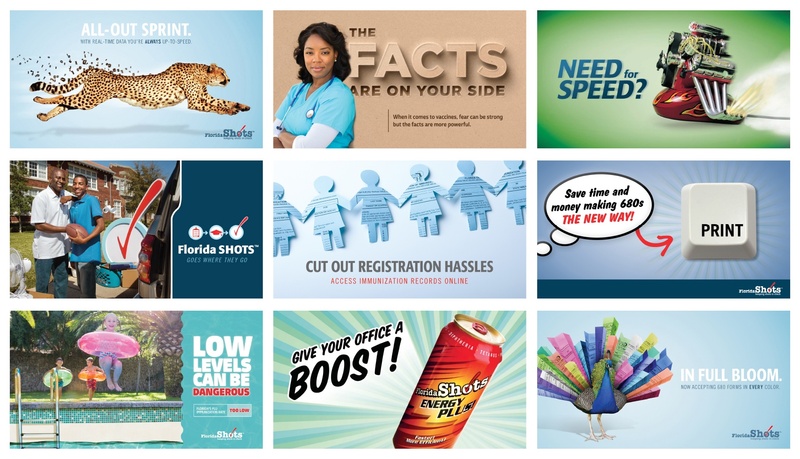 Knowing our audience (doctors and nurses) is busy and, therefore, might have an even shorter attention span, our design needed to be eye-catching and quickly understood. It had to hit them emotionally, making them think and reminding them what’s at stake. 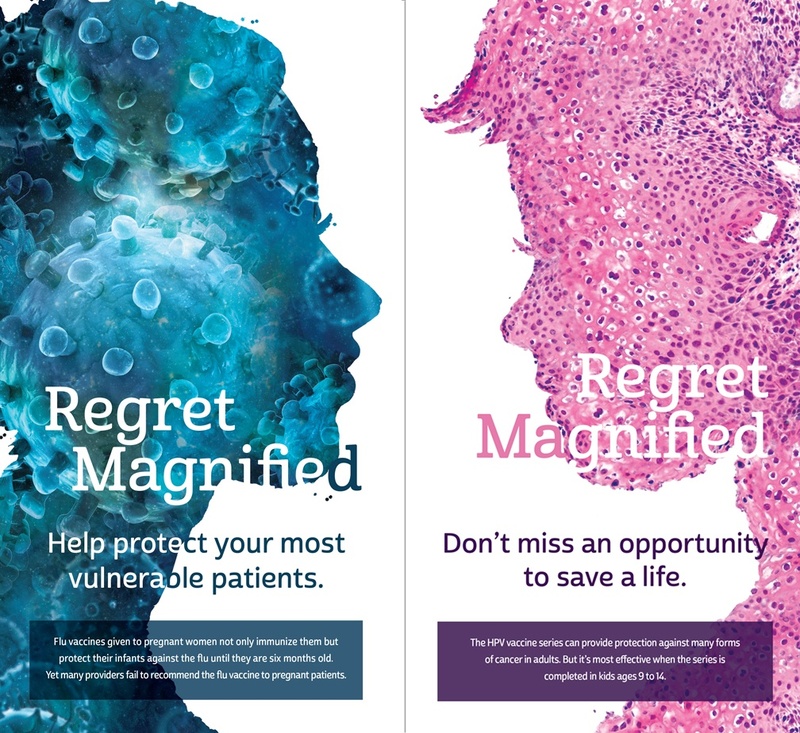 The Regret Magnified campaign highlights the consequences of physicians missing opportunities to protect their patients. The postcards not only relate to the study of vaccine-preventable diseases but also send the message that if patients don’t get their shots, their health could be in jeopardy. 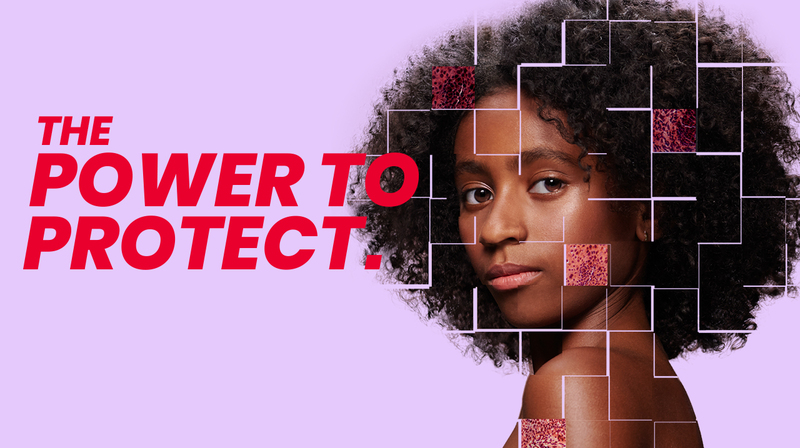 Using silhouettes of the targeted demographic and magnified views of each virus addressed, this campaign is visually striking with strong ties to the medical field. The Centers for Disease Control and Prevention has updated the immunization schedules for 2017 and more information can be found on its website. During the 2016-2017 flu season, there have already been influenza-associated pediatric deaths in Florida that could have been prevented by routine vaccination. 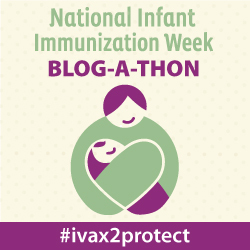 Brunet-García supports childhood immunizations and encourages others to share their support by participating in the NIIW Blog-A-Thon for the #ivax2protect campaign.